It may not be PC to feature an oil refinery, especially BP’s with its recent history, but we’re here to talk about design and this is a rather stunning structure. 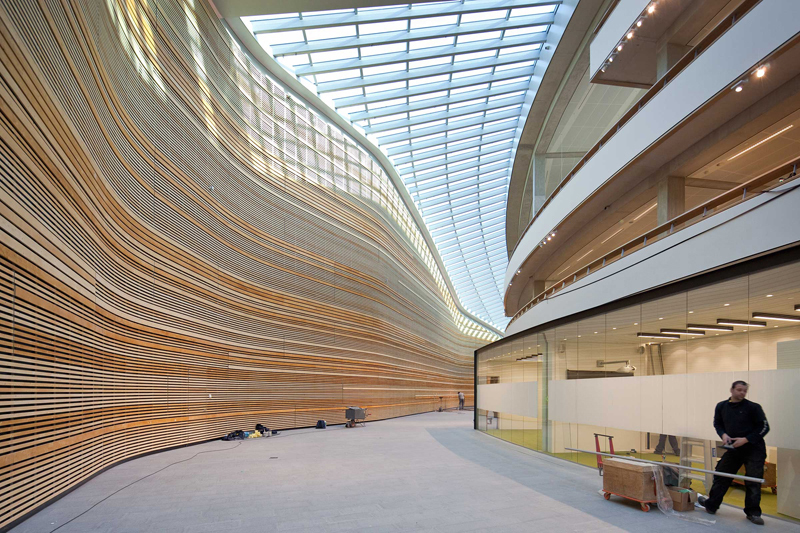 Designed by Dutch architects Group A in Rotterdam, this 10,500 square meter building takes into consideration sustainability and safety in addition to aesthetics. The beautiful and dramatic curved glass atrium wasn’t without its challenges. To keep the costs down, rectangular glass panels were used in as few different sizes as possible. By using the geometric primitive of the cone the architects were able to bend and twist the roof while the panels remained normal rectangles within a structure of tapered aluminum and steel profiles. The building is hidden in an artificial dune which adds to the dramatic look as well as helping to meet safety requirements. On the north side the building is hidden in a new artificial dune, while it appears to be ‘crawling’ out of the dune on the south side. By embedding the building in the landscape, safety measures against the explosion hazard posed by the refineries are being met with. The head office is a dynamic expression of the connection between landscape and building mass. The dune is also actively and dynamically part of the interior. A large atrium is situated between the offices and the dune. 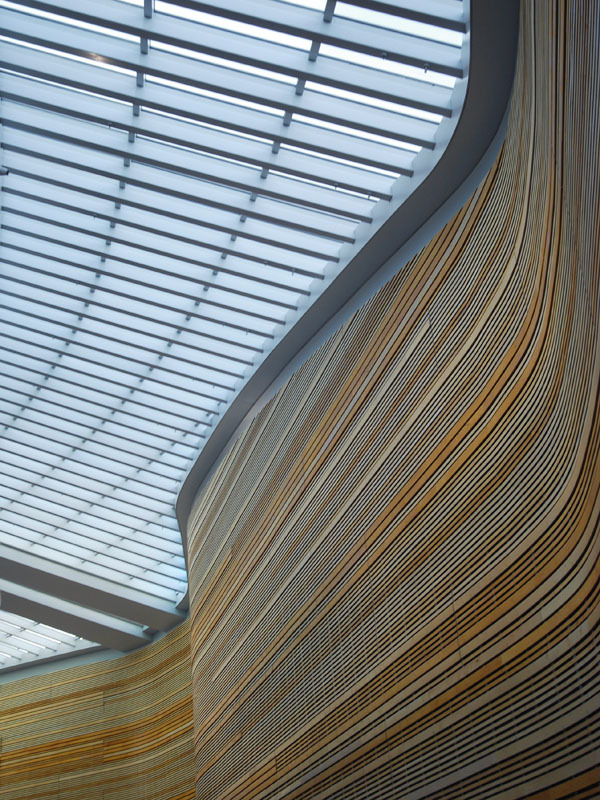 The efficient and flexible offices can be connected to each other, and open up towards the atrium, creating a dynamic and interactive environment. The expansive timber clad wall enhances the presence of the dune landscape on the interior of the office. The varying wood tones echo the qualities of rock and sand formations. At the same time, the curved front facade emerges from the artificial dune, while the grassy hill hides the building from the road. what is the refinery’s terms and procedure.